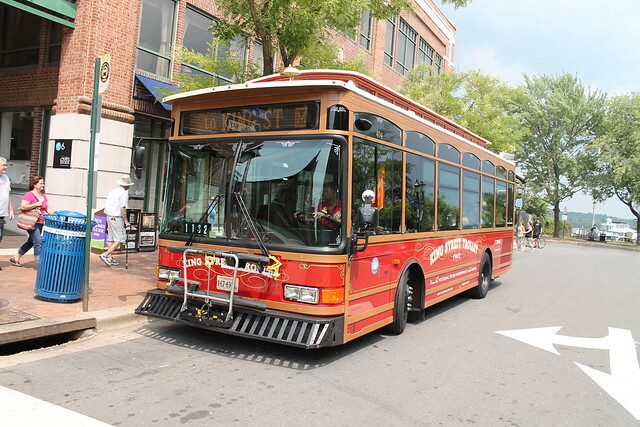 The Alexandria Transit Company (DASH) has announced that they are only a week away from reaching their milestone of carrying 5 million King Street Trolley riders in Alexandria, Virginia since the service started in 2008! As part of celebrating this milestone, DASH, along with the City of Alexandria and Visit Alexandria, will be on the lookout for the 5 millionth rider who will be boarding one of the trolleys on Wednesday, September 9, sometime between the hours of 9:00 AM and 11:30 AM. 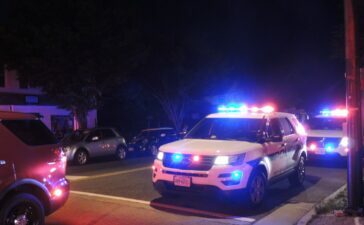 Alexandria’s Mayor Bill Euille and DASH Board Chairman Paul Abramson will be among the City, DASH, and Visit Alexandria officials who will be waiting at the Market Square to congratulate the lucky customer. The 5 millionth rider will also be bestowed with a number of exciting gifts. DASH began operating Alexandria’s first clean diesel hybrid electric King Street Trolley in April 2012. Trolley riders immediately noticed the new design features, including bike racks, low floor design (no front steps), wheelchair ramp instead of the older hydraulic lifts, plus a smoother ride, and a more spacious and accessible interior. The hybrid trolleys consume less fuel, emit fewer pollutants, and provide a quieter more relaxing ride. The King Street Trolley transports approximately 2,500 riders a day between the King Street Metrorail Station and the Potomac River waterfront daily every 10 minutes, Sunday – Wednesday from 10:00 AM ‐ 10:15 PM and Thursday – Saturday from 10:00 AM ‐ 12:00 AM. Riders can access trolley schedules and information at this link. For information on DASH routes and schedules, visit this link. Stay Connected with DASH and the King Street Trolley! Visit DASH online and sign up for DASH eNews! Artist Talk and Reception at cove Old Town Postponed!